Today, older Americans are increasingly active. Many Elderly are involved with friends and their communities. Part of that lifestyle includes driving their own cars. The state of Delaware has the fastest growing older population in the country. There are currently over 250,000 drivers over the age of 60 in the state. Older drivers face unique challenges on the road and can pose risks to other drivers. In response, many states and safety advocacy groups have examined ways to keep aging drivers on the road as long as possible while still maintaining the safety of everyone on the road. 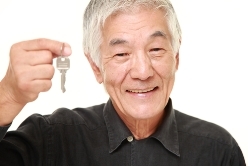 Understandably, many older drivers are reluctant to give up their keys and the independence that comes with being able to drive themselves. In response, a number of safety advocates and government groups have started to promote self-regulation. Online self-assessments and helpful tips can help older drivers and their families decide if it is safe for them to stay behind the wheel. For Delaware drivers, the state website offers a number of useful tools, including pertinent information and a quiz to aid older drivers in examining their skills. A recent study from the AAA Foundation for Traffic Safety claims that if older drivers can appropriately self-regulate, it could have a significant positive impact on society at large. Not everyone will take advantage of these tools, however, and serious accidents can result. If you or someone you love has suffered injuries in a car accident, you may be entitled to make a claim. Chat live with a member of the experienced legal team at Morris James Personal Injury Group to learn more and set up a free, no-obligation consultation.